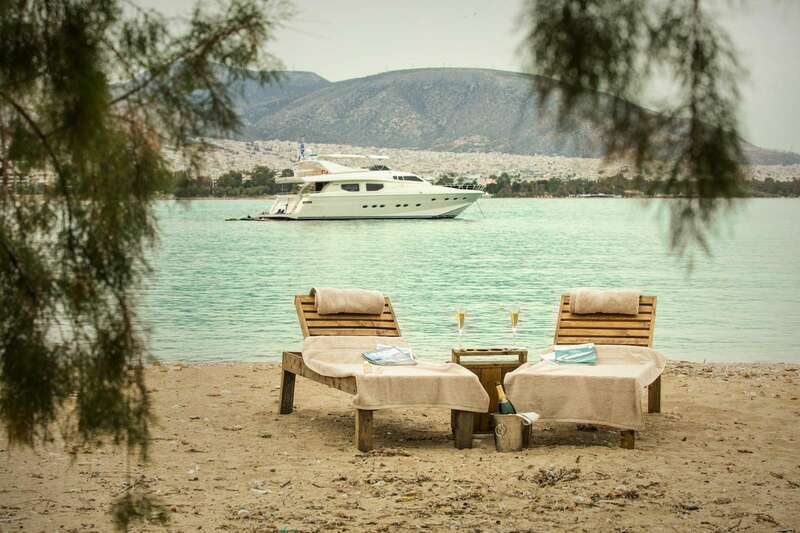 EMSAFFA (ex Valco) is a 24.38m (80') luxury yacht offering unprecedented charter vacations in the Eastern Mediterranean, accommodating up to eight charter guests in five cabins. She is serviced by an attentive and professional crew of four. EMSAFFA was launched in 2001 by the Italian Posilippo shipyard and refitted in 2018. 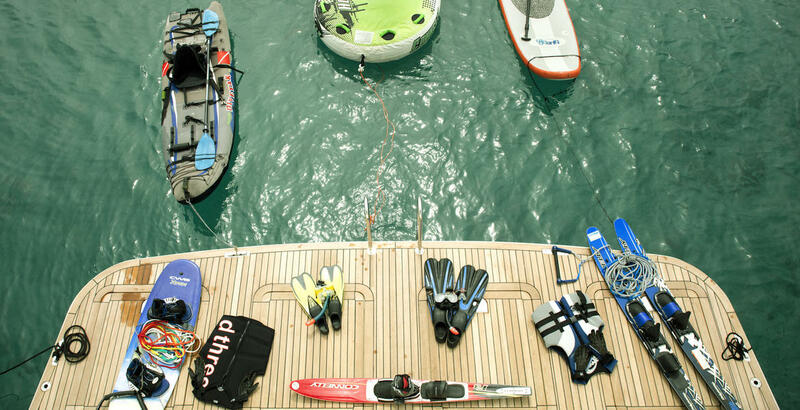 A large swim platform creates a desirable space to stretch out in the sunshine beside the water or spread out with the water toys. 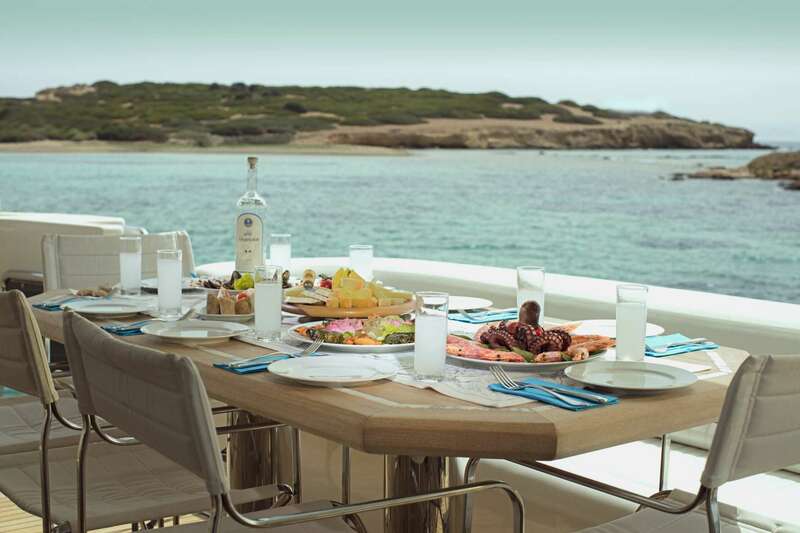 A staircase leads up to the main deck aft, where a plush sofa lines the stern and a raised table makes an ideal spot for alfresco dining or outdoor lounging sheltered by the flybridge overhang. 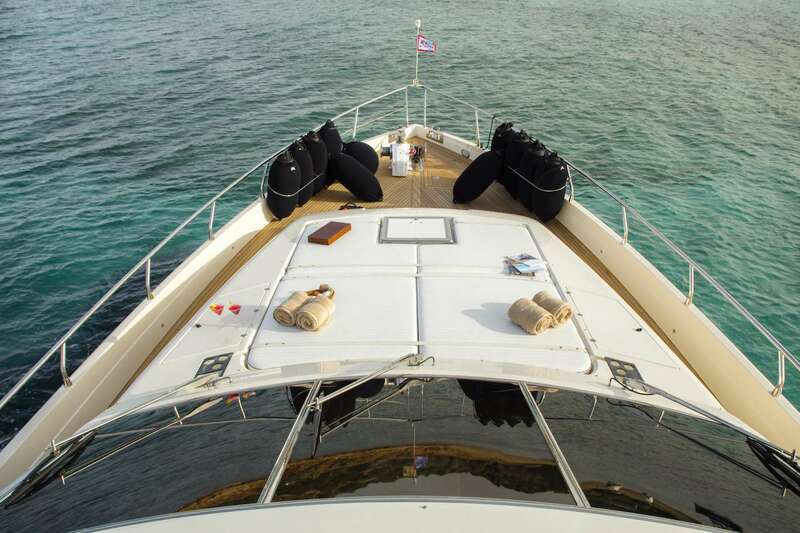 The foredeck has a spacious sunbed covering the bow where guests can relax and take in the uninterrupted views. 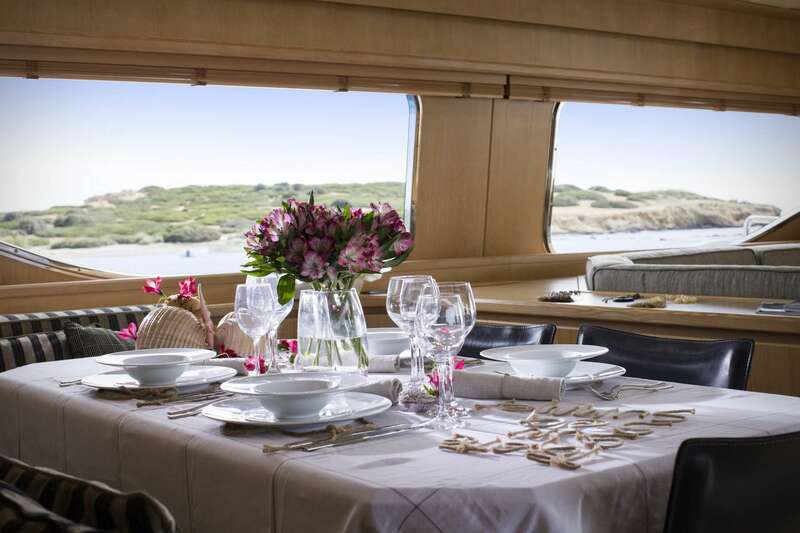 The flybridge places the controls forward to starboard, and a port-side corner sofa and a raised table are placed behind for alfresco dining with elevated views while shaded by a canvas. 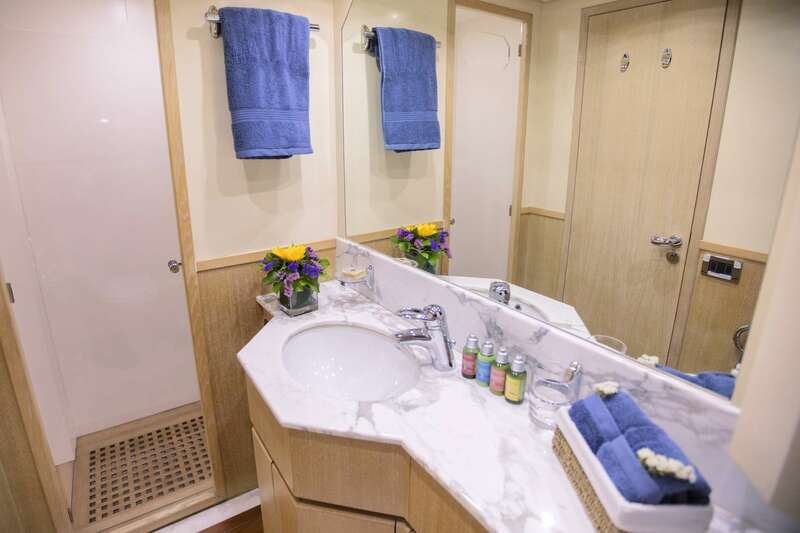 The lower deck hosts the guest and crew accommodation, leaving the main deck free for shared social areas. 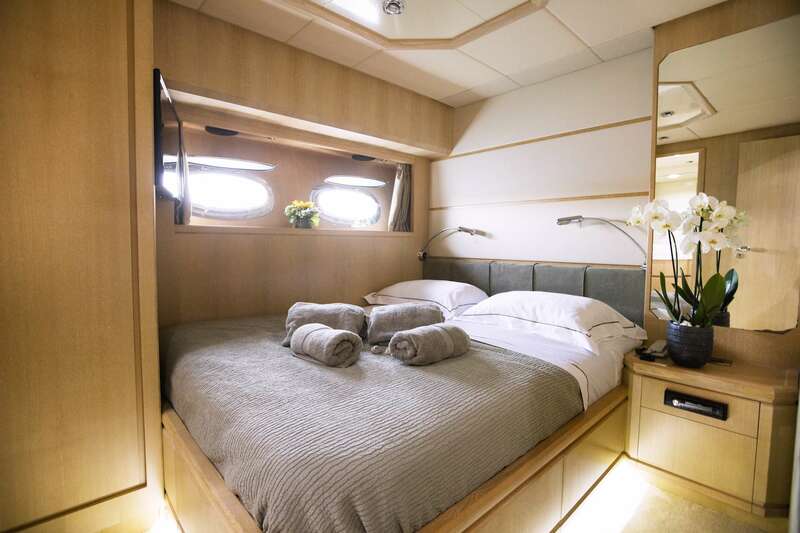 The helm station is placed forward to starboard, leaving room to port for a padded C-shaped sofa with a raised table for casual dining and relaxation. Behind is the formal dining area, which seats up to 10 guests with excellent views and natural lighting through the broad windows, which stretch down to the salon. 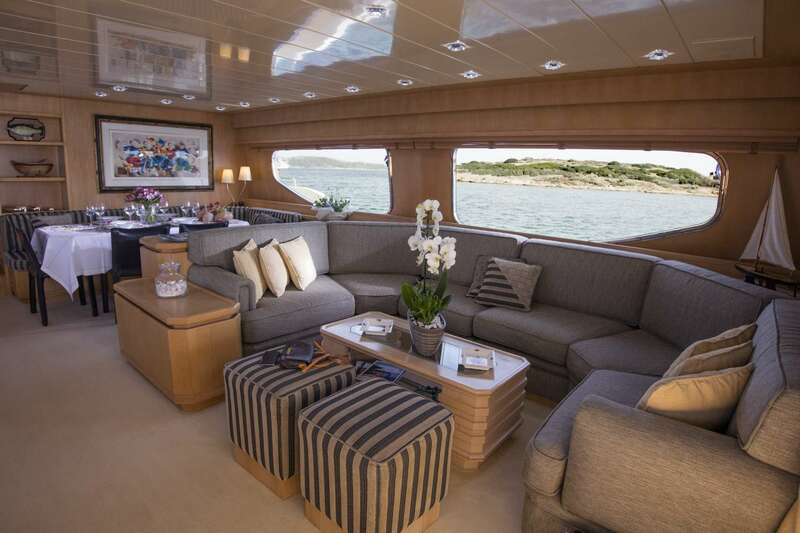 The lounge consists of a starboard sofa the curves around a coffee table, and opposite the cabinetry conceals a widescreen TV that pops up for guest entertainment during transit or at the end of a busy day. 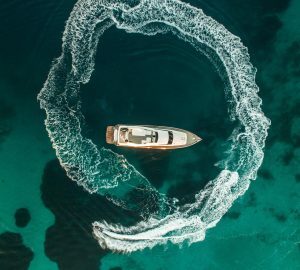 A pair of 1,800 HP MTU engines allows for a cruising speed of 24 knots and a top speed of 31 knots, making M/Y EMSAFFA ideal for island hopping. 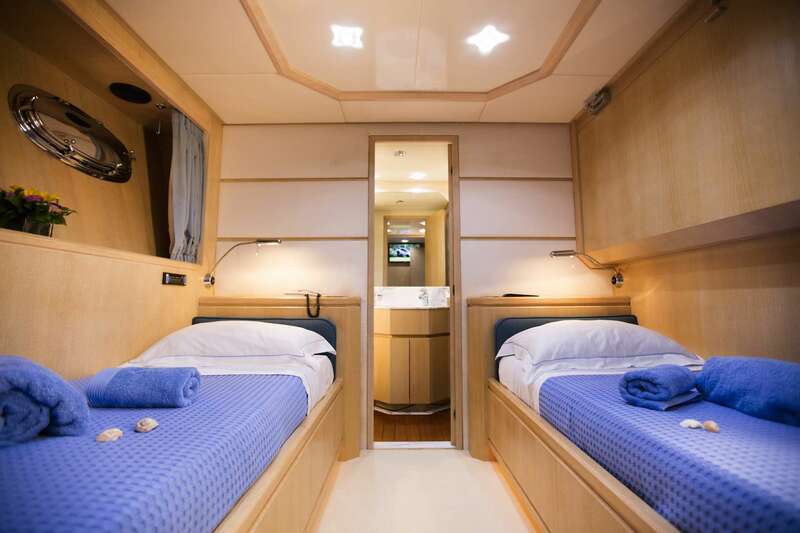 The accommodation layout provides for up to 8 guests over 5 en-suite cabins: 1 Master suite, 2 VIP cabins, 1 twin cabin and 1 bunk cabin. 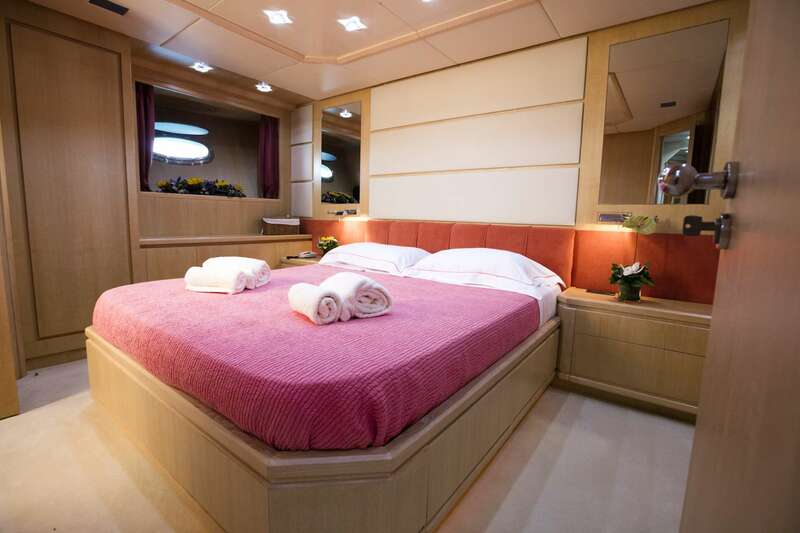 The crew of 4 will ensure that every on board has first-class service throughout their stay.